Need for free HTML5, CSS3 business templates are very high as many want to build a business website for their company or to sell their own service. 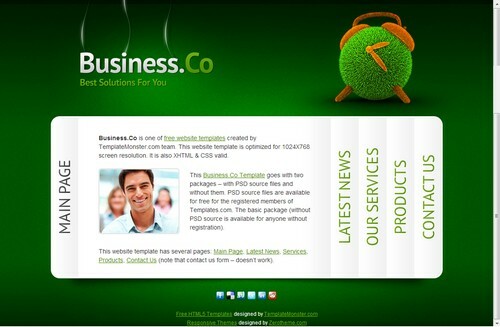 We have choose best business templates which are free to download as well as hand picked. Check the feature set of each template to find more about the html template like jQuery integration, responsive layout, css framework etc. The skeleton CSS and 960 grid may be the proper choice for many with bootstrap, font awesome icon set. The CSS3 framework like skeleton makes it easy for changing the website elements quite easily once you get used to it. Choosing the right color combination for the website template to go with the business or corporation of your choice is important as well. Logo placement should be correct and should be in sync with the total website design. jQuery is pretty standard and used in modern websites with HTML5 standards. jQuery make the sliders, menus, photos with the help of HTML5, CSS3 to a new level which will make a long lasting appeal on the customer. 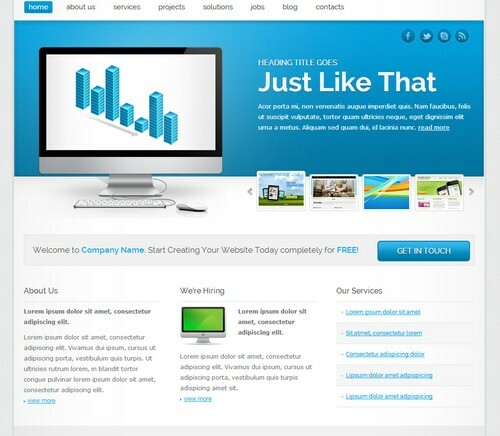 Find 25 Best Corporate HTML5 Website Templates from here for professional websites. 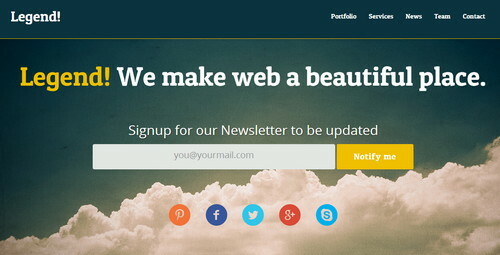 The best free business website templates which are HTML5/CSS3 is worth trying for your website. Also try our 49 Free Responsive HTML5 CSS3 Website Templates first before going through this collection which has been updated recently with new 2015 template releases. A brilliant onepage theme for a business startup who would like to showcase a featured section of call to action combined with the power of portfolio elements. 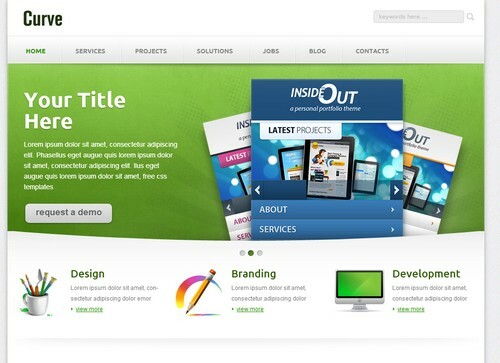 The template is well executed throughout to give a clean layout feel and to make your website look professional. Supported features are retina ready layout for larger displays and also support for mobile devices. Editing the template will be easy if you have a little bit knowledge on html/css as it is powered by bootstrap framework with well structured code. Must be added to your collection if you haven’t done so. 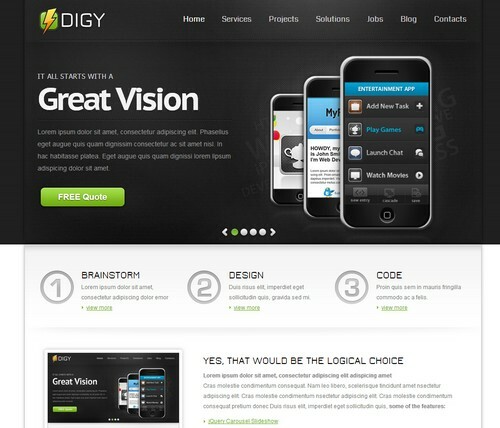 An app centered html template to build a promotional website for your new application or service. The responsive design and the single page layout is pretty awesome featuring support for video playback. This is a free Bootstrap HTML template for business website design with responsive design and impressive fullwidth action page. 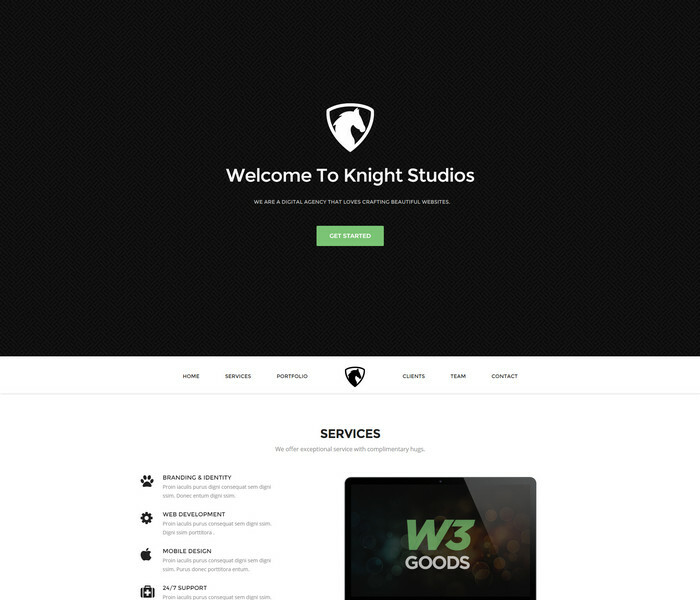 This is a true knight among other business websites and integrates all essential pages in onepage layout for easy access. Crafting a portfolio website on this theme is easy as this layout can serve for mutliple applications. Dale is a modern theme design by the same creators of Enzyme theme which was a very popular theme years ago. Dale is a brilliant template for free download built on top of bootstrap with cleverly handcraft media queries for responsive design. The template features a full width slider supporting embedded videos and uses a onepage design which lets you showcase your team work and portfolio items. With a smooth touch of parallax effect and a unique scrollbar, Dale also has a pretty neat typography. Apart from the homepage this download kit contains many page layouts, mega menu dropdown for multi purposes. Brilliant template for free download. A premium looking responsive html template for showcasing your new set of mobile applications in style. Featuring multiple rows you can now easily educate visitors with proper content. 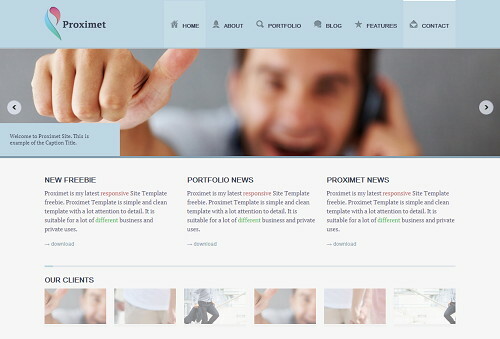 Proximet is a latest responsive business website Template which is simple enough to represent your business with clean design. Share to get this beautiful template for free now. 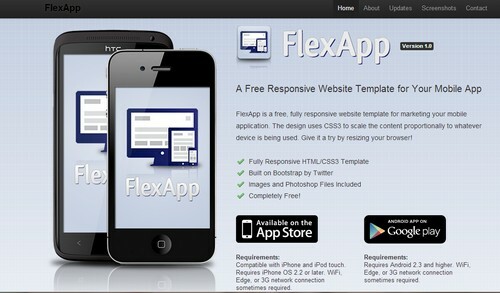 As the name, FlexApp website template was originally designed for those looking to market their mobile application online. 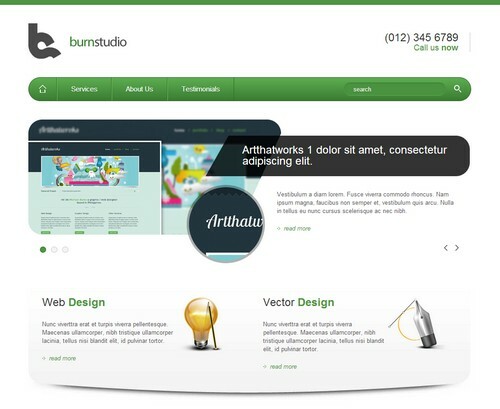 Curve is a corporate business template which is responsive and suits all tables, mobiles, desktops providing easy layout. Free, but link to author required. A perfect clean responsive business template for your emerging brand with nice blue overall color. Great focus has been given to the product in the center. Valid HTML5 & CSS3 markup will interest us all. 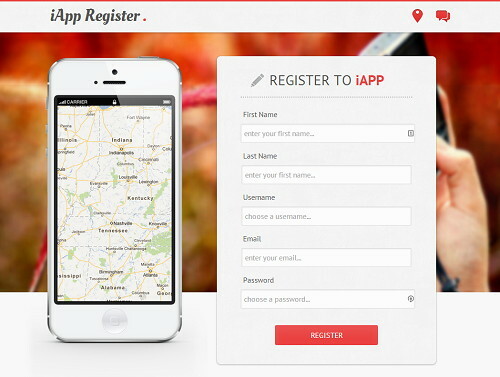 Another template which focus on mobile application and the overall look is top notch. The best thing i noticed it that scales beautifully to mobile devices which makes it look better than the desktop. A website homepage made in HTML5 & CSS3 style with jQuery support. 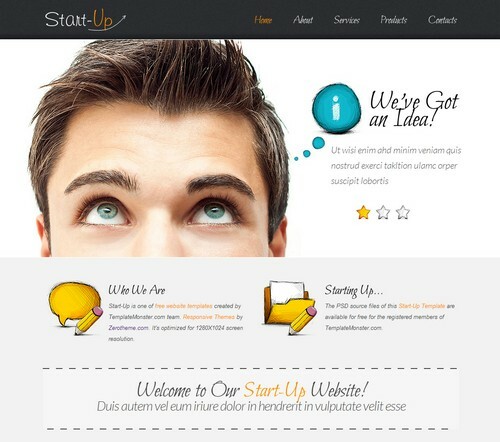 A startup design which has a potential for easy editing to suit your business corporation. This used to be a psd which has now been converted to html, css by 1stwebdesigner and you will find the tutorial as well as the template download files. 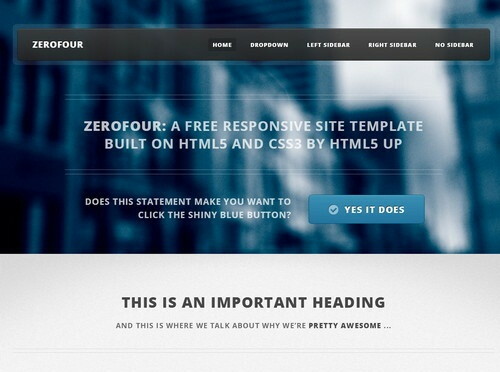 zero theme has took time to redesign the whole template so that it can be responsive across all platforms. The template is very small and singe page with jQuery doing rest of the work. This template is exclusive for those running a web design company. The slider is top notch as well as with big images. A register form template for your mobile application which i think is cool and it is truly minimal design. Recommend this for every mobile application developers as they need this once in a while for getting clients. 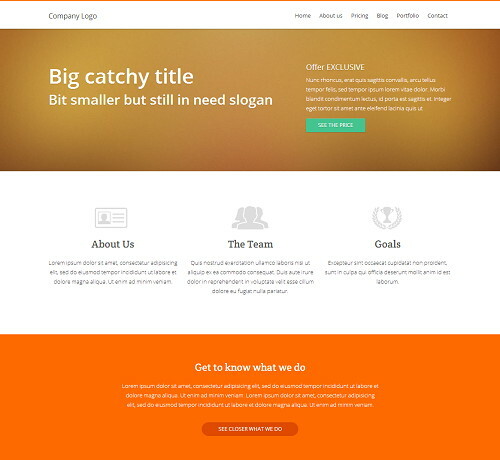 A free responsive site template built on html5 and css3 by html5 up. 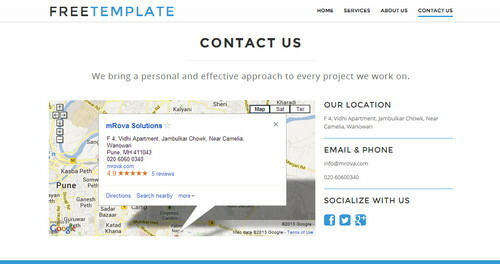 A minimalist website template which is one page where you can add contact, service information, blocks etc. The unique nature of this template can be editable to your site needs. 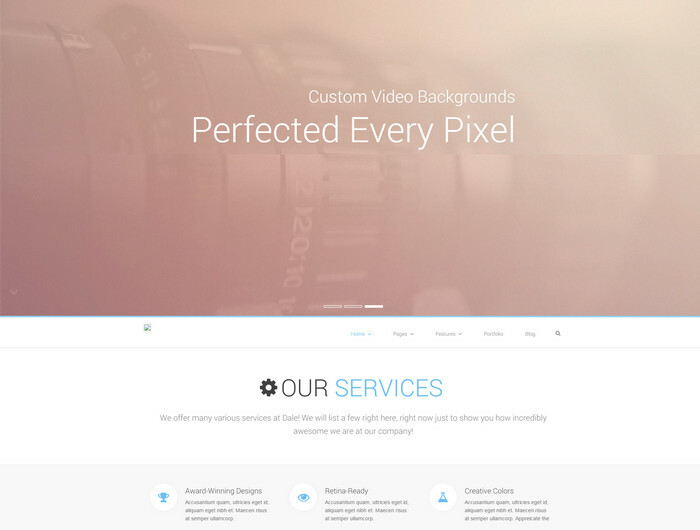 A psd converted to this beautiful HTML template by rafi from graphicsfuel. Three pages are included with this download like contact page and portfolio page. A legend template which does almost everything in one page layout. 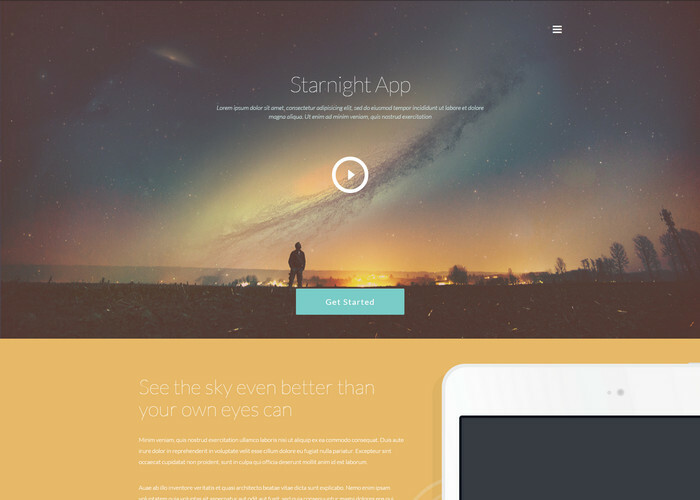 The vibrant colors make this HTML5/CSS3 template stand out from the rest. 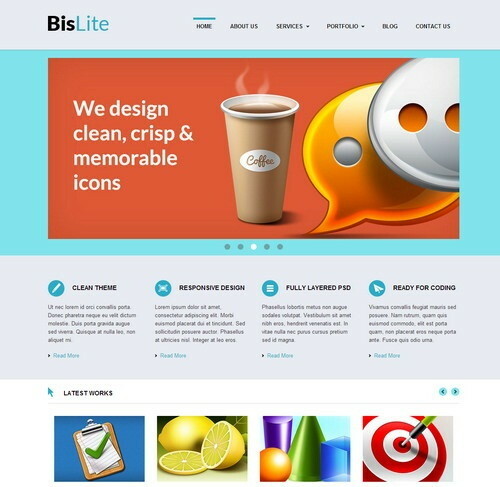 A must have download for those looking for business / corporate / portfolio website template. Hand sketched design has been implemented on this business template and it is totally unique from we have seen here. The download contains all main pages like homepage, contact, about, services, product so you can start implementing the design for your website fast. wonderful work. I love them .